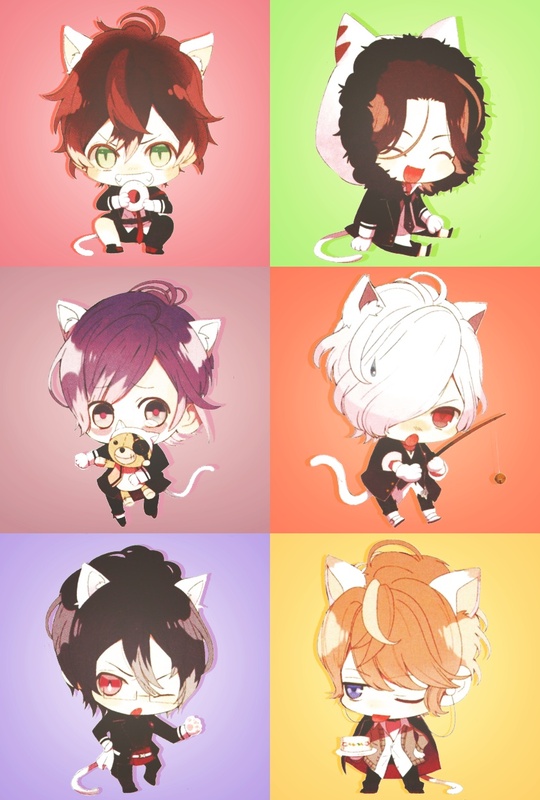 The Neko Versions of Sakamaki Brothers. . HD Wallpaper and background images in the Diabolik amoureux club tagged: photo ayato laito raito kanato teddy subaru reiji shu shuu neko chibi.